Many blessings. A past life is technically defined as any moment before this one. Your memory of 10 minutes ago is a past life. Tasks have been started all through your past lives that may have never been resolved. For those that believe in incarnation, there is usually a memory wipe between physical lives where something from that past life may have been unresolved that we carry into this new life unknown. This can be karma where energies need to balance and be atoned for or can be a trauma. There can also have been a decision made like vow of poverty or self punishment that carries forward until this is corrected or changed. Did you know that if you receive a trauma this life and then transition you are automatically going to have to incarnate to resolve that? What starts in a dimension must be resolved in that or a lower dimension. We are in the third dimension as you read this so anything that was started in this dimension will need to be resolved here before you can move on. So what do you do when you cannot remember what is unresolved or karma? 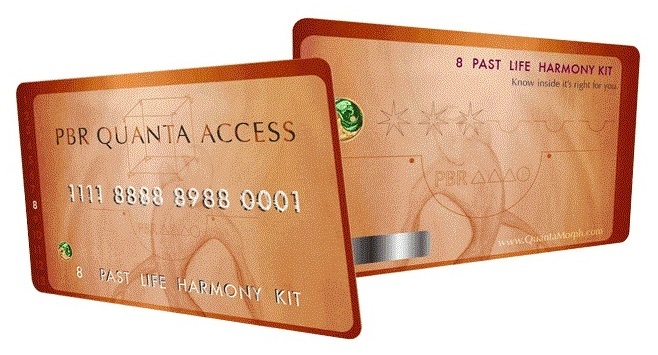 This is where the past life harmony Quanta Morph card comes in. All our cards are assigned specifically to you to assist in the release of karma and past life issues. You just keep the card in your wallet or handbag and under your pillow at night if you wish and allow the multidimensional access to resonate with you. This stays with you for a life time assisting in the release of these anything to do with past lives and bringing you in harmony with yourself. If you email bob@realprofitsolutions.com he will take care of any hosting or web site requirement you may have. Our set-up and monthly maintenance is very reasonable we found and he takes care of everything including ordering and setting up SSL. Cheers!